Former governor general John Buchan in a photo by Yousuf Karsh. © Yousuf Karsh. A guidebook aimed at immigrants hoping to become citizens tells these prospective Canadians about what a wonderful paragon of multiculturalism was former governor general John Buchan, the 1st Baron Tweedsmuir. Immigrant groups “should retain their individuality and each make its contribution to the national character,” Buchan said, according to the government publication Discover Canada: The Rights and Responsibilities of Citizenship. Now, doesn’t that make you feel a little more comfortable about becoming Canadian? No need to discard all your cultural baggage from the Old Country. 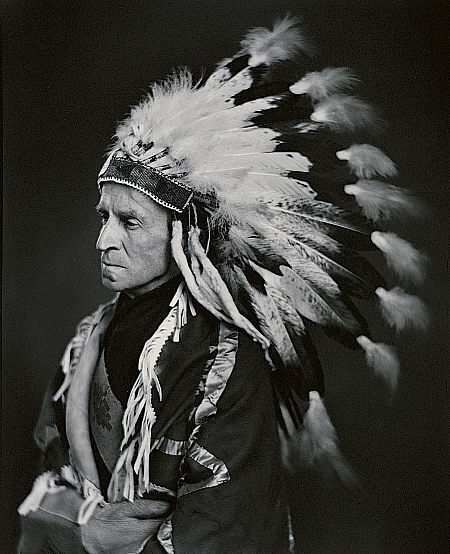 A Yousuf Karsh photo of Buchan, wearing a Blood (Kainai First Nation) headdress, appears in Discover Canada, the contents of which immigrants are advised to study if they want to pass their citizenship tests.